Tape deck won't play correctly or not eject. 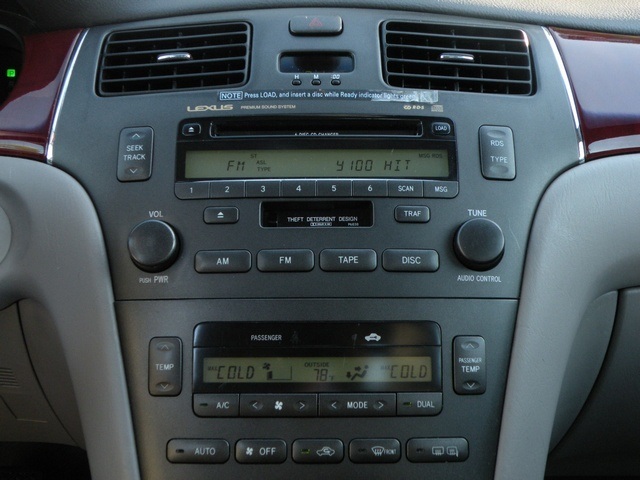 2003 Lexus SC430 Stereo Removal - You will want to start with the wood grain cover closed over the front of the stereo. Then, pop up the seat warmer switch panel that is right in front of the middle arm console, right behind the shifter wood grain assembly. No need to unplug that panel, it can just be dropped inside the console. Put on the emergency brake so when it put it into gear the car won't roll. To pull out of park you pop that little slot piece that is in front of the shifter, to the left. We used a small screwdriver to put in the slot and pop out that little 1 inch square cover. Notice that little piece has a guide on its side and will only go back in one way. With that out you can use the key or a screwdriver to press down the release and pull it out of park. The wood grain that goes around the shifter will pop out when gently pried up with a regular screwdriver. It has 3 wire harnesses that need to unplug from it before it will move. 2 of them are easy to see how they unplug but the small wires that go to the stereo door switch are a little harder to see how it unplugs. 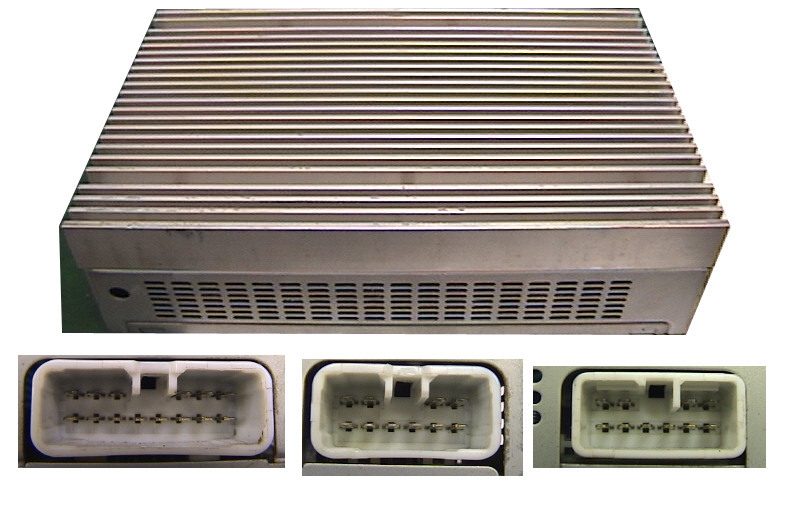 With the other 2 connectors unplugged, it is easier to rotate it and see where there is a small connection into the switch, gently pull on the wires from the back of the switch and wiggle it, there is a connection in the switch that will unplug. The vents to the left and right of the Nav screen will pop out if gently pried on with a regular screwdriver. The left one is 4 inches square, the right one is the same vent but also has the wood grain attached that goes about 20 inches to the right, that all is one piece that pops out. Now grab a hold of the piece that has the Nav buttons on it and pull hard, it will unsnap out of there also. This exposes the 4 bolts that hold the stereo into the dash, remove them and pull the stereo forward. Just disconnect the plugs from the back of the stereo and it is now removed.